In light of the current discussion concerning the so-called “Jesus Discovery” of the depiction of a Jonah/resurrection motif on a 1st century CE ossuary (see here) it is probably prudent to re-examine the typological relationship between the two prophets of Jonah and Jesus. Besides the explicit connection of “the sign of Jonah” mentioned in Matt. 12:38-41; 16:4; Luke 11:29-32 there are several probable connections that can be derived through comparing the Gospels to the book of Jonah and 2 Kings 14:25 (i.e. the only Old Testament mention of the prophet outside of the prophetic book of Jonah). 1. Each prophet heralded from and began his ministry in Lower Galilee. Jonah/Gath-Hepher and Jesus/Nazareth – 2 Kings 14:25; Matt. 2:23. 2. Each prophet’s ministry occurred during a time in which Israel’s hierarchical, wealthy members “trampled upon the poor.” Jonah/“cows of Bashan” during the time of Jeroboam II (8th cent. BCE); Jesus/”devourers of widow’s households” – Amos 4:1-3; 5:11-12; 8:3-7; Matt. 19:23-25; Mark 12:41-44; Luke 16:19-31; 20:46-47. 3. Each prophet preached Yahweh to Gentiles despite a desire to primarily minister to their own Israelite/Jewish population. Jonah joined Phoenicians on their way to North Africa (i.e. Tarshish) to avoid the goyim of Nineveh (Jonah 1:1-3) and Jesus stated that he was sent “only to the lost sheep of the house of Israel” (Matt. 15:24). However, both eventually ministered to Gentile populations – Jonah with Nineveh and Jesus for example with the Syro-Phoenician woman (Mark 7:25-28), Legion of the tombs of Gadera (Luke 8:26-34), and the centurion's servant at Capernaum (Matt. 8:5-13). 4. Each prophet slept in the bottom of a ship in the midst of a raging storm while the ship’s sailors were wracked with fear and bewilderment due to the prophet’s slumber (Jonah 1:4-6; Mark 4:35-38). Additionally, each prophet was the reason for the ceasing of the storm (Jonah 1:7-16; Mark 4:39-41). 5. Explicit connection (see above) Each prophet spent “three days and three nights” in the “heart” of the earth before being “brought up from the pit.” Compare Jonah’s prayer (Jonah 2) and Jesus’ “sign of Jonah” (Matt. 12:38-41; 16:4; Luke 11:29-32) to Jonah’s expulsion (Jonah 3:1) and Jesus’ resurrection (e.g. Matt. 28:1-6). 6. Each prophet, despite being from northern Israel (i.e. Israel in the 8th cent. BCE and Galilee in the 1st cent CE), were obedient to the Law of Moses in worshipping Yahweh at his chosen location of Jerusalem (Deut. 12:5-7; 2 Sam. 7:13; 1 Kings 5:5). 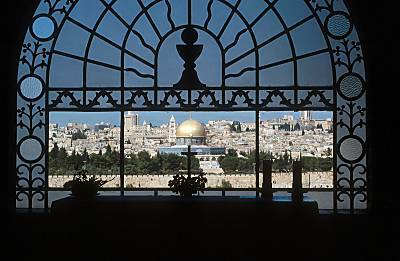 Compare Jonah’s “worship in the temple” (Jonah 2:4, 7), despite the enduring presence of the syncrestic temples of Dan and Bethel, to Jesus going up to Jerusalem for various feasts (e.g. Luke 2:41; 22:1). 7. Each prophet proclaimed coming destruction upon his audience’s capital city. Compare Jonah’s proclamation to Nineveh (Jonah 3) and subsequent, vengeful grief over their repentance (Jonah 4:1-4) to Jesus’ prophecy of doom to Jerusalem (e.g. Matt. 24) and subsequent, knowing grief over their rejection (Matt. 23:37; and especially Luke 19:41-44). As an aside, I find Jonah’s statement in Jonah 4:3 to be an ironic double entendre in the vein of Caiaphas’ statement in John 11:49-50. 8. Each prophet left the city that they had just preached in and went to the east of the city and prayed. Compare Jonah’s selfish, languishing prayer concerning the loss of his shade east of Nineveh and Yahweh’s response (Jonah 4:5-11) to Jesus’ selfless, anguish-filled plea to “let this cup pass” in Gethsemane and Yahweh’s silence (e.g. Luke 22:39-44). More could be said about the typology of Jonah in relation to Jesus, especially with regards to the notable differences between the two. Nevertheless, in my opinion the above similarities undergird the connection between Jonah and early Christian motifs (see for example Jensen’s post which mentions 4th cent. CE depictions in Rome). Whether, the Talpiot ossuary is the first known example of this connection is an open, debatable question, but in either case it seems clear that the motifs derive from a clear typology that is rooted in the Gospels. Thanks for this analysis and comparison, Chris. Related to your first point, I've always thought it odd that the Pharisees would tell Nicodemus: "Search, and see that no prophet arises out of Galilee” (John 7:52). Not only did both Jonah and Jesus come from Galilee, but their towns were a mere five miles apart. Great post, Chris. I was thinking along a similar line as Wayne. Perhaps the similarity could be phrased this way: Both Jonah and Jesus, prophets from Galilee, were rejected by first-century Pharisees (John 7:52). That rejection is not explicit, it seems difficult to account for the Pharisees' statement any other way. Good points about John 7:52. It seems to me that there are at least four different solutions to understanding the Pharisees' hostile response to Nicodemus and conclusion that Galilee was not fertile prophet country. 1.) 1st century rejection of both Jonah and Jesus as Todd mentioned. 2.) 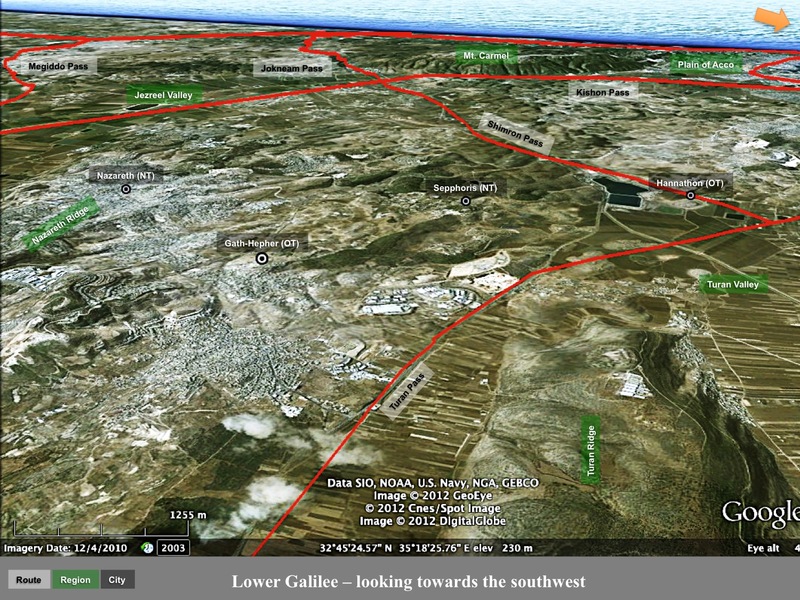 Ignorance and regional discrimination on the part of the Pharisees against Galilee (e.g. ESV Study Bible notes on John 7:52). 3.) Contemporary failings of Galilean pseudo-prophets and messiahs (see especially Gamaliel's reference to "Judas the Galilean" in Acts 5:37). 4.) The statement of "No prophet arises out of Galilee" is a continuation of the earlier question of John 7:40-42 and could be read as the definite "the Prophet." Although the "prophet" in 7:52 lacks the definite article. Of these solutions #2 seems the least likely - as Jesus makes reference to "the sign of Jonah" indicating that his audience would have been familiar enough with Jonah that they would not forget his hometown.